Huntsville is your home....from Madison to Owens Cross Road, and Harvest, we realize the unique attributes each area has to offer. The Rocket City and it's suburbs offer the perfect balance to suit all. From the newly renovated condominiums and lofts in our business district, to historic sidewalk neighborhoods, or brand new developments, our city welcomes! It's all about finding qualified residents quickly. With targeted internet listings, property signs and classified ads communicating your properties' most desirable features – we handle all the property advertising and follow up on leads daily. In addition, our relationships with real estate agents and HR directors are a constant source of prospective tenants for your property. Each prospective tenant must complete our detailed application and must meet certain income, rental or ownership history and credit criteria. Furthermore, we will contact the applicant's employer for additional confirmations. Once complete, we share our findings with you along with our recommendations. The final decision to accept or reject a tenant is yours. Once a prospective tenant has been approved, AHI will work diligently with the tenant to quickly execute our AHI tenant lease and all related documents and collect all required deposits. Moving the tenant in… moving the tenant out- AHI will conduct walk through inspections of your property – at no extra charge! 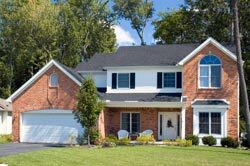 We can also schedule periodic walk through for an additional fee with a third party inspection company or our maintenance team. Our homeowners continually remind us that this valuable service is just one of the many ways AHI really sets itself apart from the competition. We feel it shows first hand that we care as much as our homeowners about the properties that we manage. We'll collect the rent - would you like your money faster…and easier? Then you'll want to choose AHI's direct deposit service – another of the many unique advantages of partnering with AHI. What's more, we'll monitor payment trends to prevent bad habits and routinely analyze the rent amount against market conditions to coordinate rent increases as they are appropriate. If rents are not paid by the 5th of the month, we'll immediately take the necessary steps to provide notices, manage the collection of rent due and all appropriate late fees. In the event that rent monies remain past due and there are no alternative paths we can take, AHI will assist in the eviction of the tenant in accordance with state and local ordinances and at the least possible expense to the homeowner. Sure...proper maintenance and our routine inspections reduce problems, yet repairs are inevitable as with any home. And while AHI can't live with all of our tenants, our 24/7/365 emergency maintenance response is the next best thing. When something goes wrong, we're going to be there quickly to take care of it. We'll schedule and coordinate all work orders for repairs and maintenance and inspect all completed work to make sure it's done right before the bill is paid. Bill payment we know you don't like getting bills in the mail – who does? And having to sit down and pay them is even worse. Whether related to the maintenance, termite bonds, rental taxes or whatever else is due, AHI can tailor a bill payment program that's perfect for you. Should we deposit your money directly into your bank account? It's fast…really easy – and another important benefit that differentiates AHI. Along with money you're due, you'll receive a monthly statement showing all collections and disbursements that have been made during the period. And at the end of the year, AHI will generate an annual statement of income and expenses saving you valuable time and money with your tax accountant. In addition and in compliance with IRS regulations, AHI will issue all required annual 1099 statements. With AHI at the helm, lease renewals are fast and easy. We'll keep track of the renewal dates, do all the paperwork and send you your copies of the extension. It's just that easy…and your checks keep coming. However, while we do all we can as property managers to retain tenants, the reality is that often times either you, the homeowner, or the leasing tenant decide to do something different. When that's the case and the tenant will be vacating the property, AHI will do a move-out inspection, provide all required accounting of the tenant's security deposit and all appropriate charges will be assessed. This includes renewals/extensions with the same tenant(s). AHI will provide protection to our property owners for the life of the lease term to include any renewal terms with the same tenant(s). If we have to evict the tenant during the term of the lease, we will pay the attorney fees, filing fees, and court cost. The average cost associated with an eviction are typically between $750.00- $2,000.00. In some cases, it could be over $2,000.00. If you are moving from your home, our property management company can assist you at each and every turn. As you embark on your new role as a Residential Landlord, you will be in need of services from marketing to lease signings and all that it entails. When you need hands on care, you can rely on experts in the business to be your eyes and ears and advocate for you. 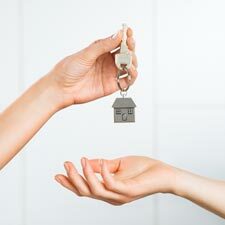 If you are moving into a new property, you will need 24 hour on call service you can rely upon to assist you when needed. Our team is available to provide that care. AHI Properties would like to provide you with the utmost time and consideration in caring for your property, and in finding, screening and securing the resident for your home. If the occasion arises that you would like to sell your home, we are able to facilitate the purchase and sale of the property too, as AHI Properties is a fully licensed real estate company. We will care for your home as you do.....No matter your needs, our team is dedicated to meeting them for you! Have any questions about AHI Properties, or how we can fit your needs? Feel free to use the contact form to the left and reach out to us. We’d be more than happy to help in any way that we can. AHI Properties is one of Alabama's largest property management companies and we go the extra mile to ensure that our owner's properties are professionally managed and taken care of. Search the properties we manage in Birmingham, Huntsville, Mobile, and Montgomery and see why so many homeowners trust their homes to AHI Properties.